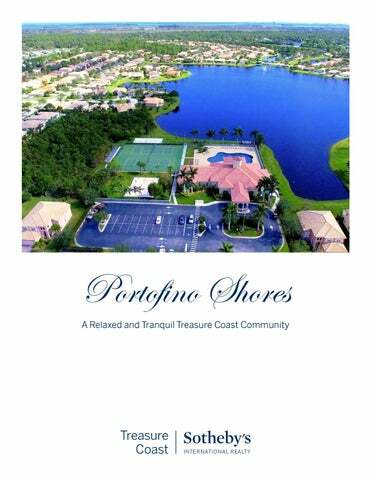 Situated alongside a nature preserve and nestled in the Northern Treasure Coast of Florida you will find the exquisite 188 acre private gated community of Portofino Shores. Located within miles of beautiful white sand beaches, the area offers lush golf courses, fine dining, shopping, and world famous fishing and boating. Enjoy peace of mind with 24 hour guarded gate and security cameras. Click here for an aerial video tour! The 6,000 square foot, lakefront clubhouse is the perfect place to gather with neighbors and friends. Visit www.PortofinoShores.net for a calendar of community events! This casually elegant space offers a dining room, bar, partial kitchen, and dance room for events. Looking to simply relax? Enjoy WiFi internet access as you unwind in the clubhouse. The 600 square foot fitness facility offers residents and their guests numerous ways to keep fit. With a complete workout Nautilus machine, treadmills, exercise bikes, a step machine, and free weights, your exercise goals will easily be met. Two full sized tennis courts in a fenced enclosure offer a great place for residents and guests to enjoy the beautiful Florida weather and get some exercise. Other fun amenities include a sand volleyball court, playground, and bocce ball court. The 1Â˝ mile Preserve Walk winds through one of the communityâ&#x20AC;&#x2122;s beautiful nature preserves, providing a great place to for residents and their guests to walk, run, or jog while enjoying nature. Fort Pierce City Marina features a state of the art dock system and is located a short distance to the Bahamas. Downtown Fort Pierce was voted the Nation’s #1 Main Street by “Independent We Stand” and received highly acclaimed ranking in the top 50 Downtown areas in the Nation. Friday Fest is held on the first Friday of every month and the Farmers Market can be enjoyed each Saturday. Enjoy shops, galleries, restaurants, museums, parks, and much more. Visit renowned Sunrise Theatre for an award winning show. Only minutes away is the Fort Pierce Inlet. The Inlet and surrounding Indian River Lagoon provide easy access to the Atlantic, many spoil islands for day trips, BBQs, diving/snorkeling, kayaking and world class fishing. Hutchinson Island is situated between the Atlantic Ocean and the Indian River Lagoon. South Hutchinson Island, just over the Seaway Drive bridge, offers the St. Lucie County Aquarium, Pelican Yacht Club, and a multitude of dining and entertainment venues. Attractions on the north barrier island include diving among shipwrecks at Pepper Park, surfing and fishing at the Ft. Pierce Inlet State Recreation Area, and visiting the National Navy SEAL Museum. The beaches of Hutchinson Island are a great place to swim, sunbathe, surf, and simply relax. Numerous public parks and beach entrances provide convenient access. 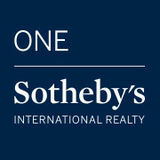 ®, ™ and SM are licensed trademarks to Sotheby’s International Realty Affiliates, Inc. An Equal Opportunity Company. Equal Housing Opportunity. Each Office Is Independently Owned and Operated, Except Offices Owned and Operated By NRT Incorporated.